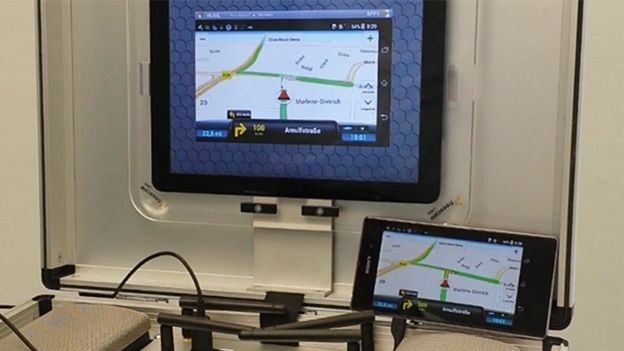 CoPilot has demoed an early version of its CoPilot App for Android running MirrorLink at MWC 2014 as an example of its in-car capabilities. MirrorLink is an alternative to in-car sat navs by simply mirroring the smartphone's own app on the car's navigation system. Separate from Apple's iOS in the Car technology but compatible with Google's own Open Automotive Alliance, MirrorLink is a technology that utilises the power of your smartphone and then mirror's certain apps via the car's own display. CoPilot believes the technology has several key advantages as it avoids the issue of in-car systems going out of date by instead relying on your smartphone, a device that has constant access to the latest versions of apps and software. Speaking to T3, CoPilot's Digital Marketing Manager Pauliina Jämsä pointed out that this step forward has been a very long time coming saying, "It's very hard to update in-car systems, that's why they're now finally going with the smarter option". CoPilot has confirmed that if a MirrorLink update were to launch on the app it would also be compatible with Google's Open Automotive Alliance as it would simply be mirroring the smartphone, not imposing on the car's own OS.